Time for May Day Magic! There’s more to May Day than the Maypole! In the early morning, children in the Middle Ages explored the fields to collect wildflowers to create a May basket. The baskets were delivered in secret to friends and neighbors…delightfully described in this poem by Virginia Scott Miner. For the little old lady who lives down our way! With Jack-in-the-pulpit and wildflowers, too. Who in the world, it could possibly be! 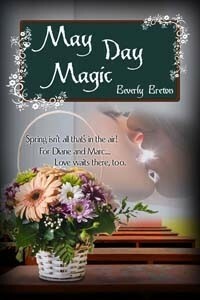 I hope you’ll tap in to some contemporary May Day festivities by starting this month of May reading May Day Magic!